There can be little dispute that South Park is absolutely hilarious, but what can be disputed is which episodes are the best. 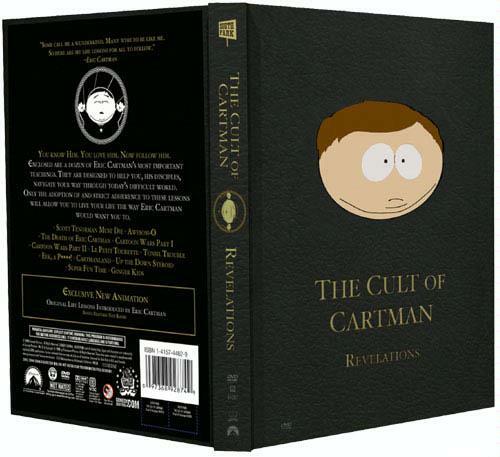 This latest South Park DVD box set entitled The Cult of Cartman - Revelations tries to pick out some of the funniest episodes that focus primarily on that most hateful of the four main South Park boys, Eric Cartman. While I think there are way more that could have been included, the ones that did make the cut were more than worthy of being selected for this collection. There isn't a dud among them. The packaging for this two disc set is rather unique. At first glance, it looks likes a book with gold-rimmed pages, but opening the front cover reveals not pages, but two DVDs. Placed together on the right side, one is on top and the other on the bottom, with a bit of overlap. I prefer to have one on each side, or have that flap in the middle (which would actually make it feel more like a book), but I'm sure that would probably raise the cost. Also included in the box is a Cartman sticker and some kind of membership card. 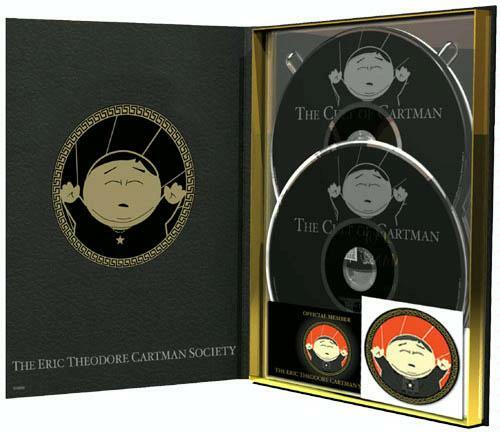 Unlike the other South Park DVD releases, this set has Eric Cartman giving a short introduction to each episode. This introduction primarily consists of him giving a life lesson that he had learned in the episode. And of course these tend to be the exact opposite of what should have been learned. The episodes also aren't placed in chronological order. This can be clearly seen in the episode where Cartman thinks he has died and become a ghost, as he makes a list of everything bad he has done, some of which we witness in episodes shown later on the DVD. Picking a favorite episode out of this set is definitely a challenge... and I just can't do it. There are too many that could claim the top spot. One thing I was dissappointed with, however, is in the Cartoon Wars Part II episode, where Muhammad was supposedly going to be shown, but instead all we get is a black screen with a message that Comedy Central refused to air an image of Muhammad. Since these DVDs are supposed to be completely uncensored, we should get to see this guy. I guess that this could have just been another gag, but seeing as how Trey Parker and Matt Stone love to push the envelope, I highly doubt it. What about extra features? Sorry, not this time. So, now comes the big question... should you get this set? If you're a die-hard South Park fan that must collect everything, then yes. If you're a casual fan that doesn't have every season of South Park on DVD already... then yes. Truly, the only reason not to check this out is if you already have the episodes on your other South Park DVDs. 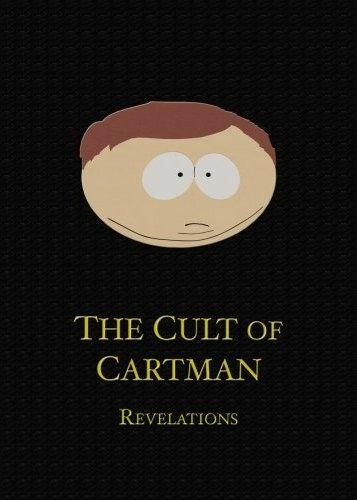 South Park: The Cult of Cartman - Revelations was released by Paramount Home Video on October 7, 2008. It was written and directed by Trey Parker and Matt Stone, and features the voices of Trey Parker, Matt Stone, Mary Kay Bergman, Eliza Schneider, Gracie Lazar, and Mona Marshall.